We've enjoyed a few days in Hamburg to celebrate Peter's big birthday. 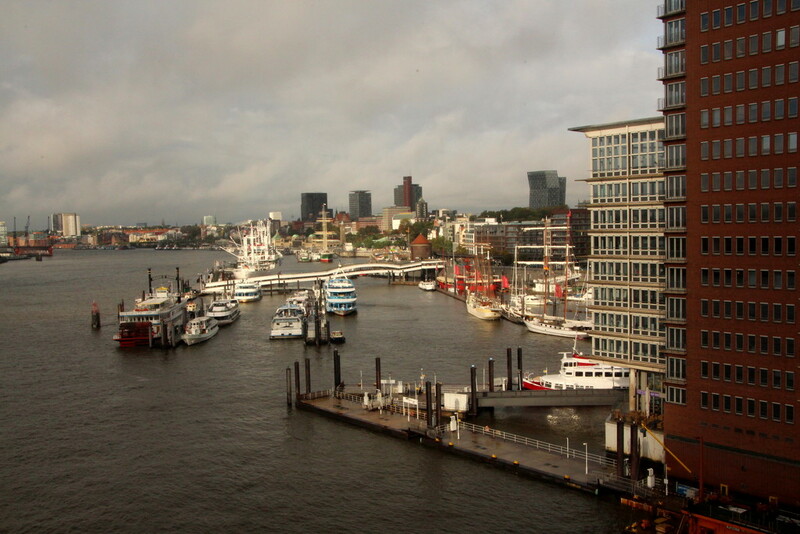 This was taken from the new concert venue, the Elbphilharmonie building, which afforded stunning views of the docks. The building itself was iconic. Wonderful view Judith, a place I wouldn't have thought to visit but an interesting place! Lovely view. I love watching the boats sail in and out of the docks. Looks a great city to visit. Lovely capture. What a great view. So much to look at. Looks an amazing city to visit. I'm sure you all had a lovely birthday weekend.